Blue and white cloud pattern on a charming ceramic bowl set made in Japan available at Miya. No need to feel blue even when it's cloudy with this charming bowl set! 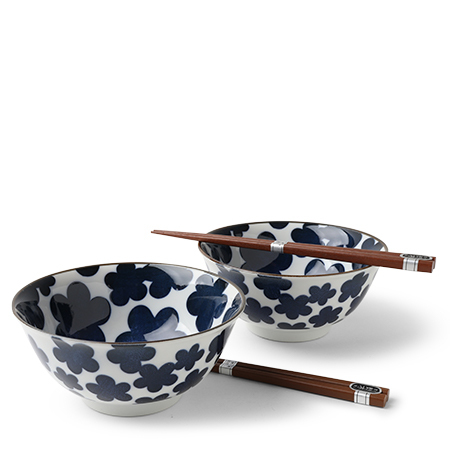 Set includes two bowls and two pairs of chopsticks in a black gift box.